Copper is an essential trace mineral, which means your body only needs very small amounts of it for normal function. Elemental copper is not well-absorbed and high doses via supplements typically lead to stomach upset and other symptoms. Chelated copper is a special type of mineral supplement that may be better absorbed and easier on the stomach, although scientific evidence is lacking. Regardless, there is a danger of toxicity and serious health consequences if you take too much chelated copper. Copper, in conjunction with iron, helps form hemoglobin and red blood cells within bone marrow. Hemoglobin carries oxygen in the blood. Copper is also important for bone mineralization, cardiovascular health, nerve function, immunity and enzyme synthesis. Copper concentrations are highest in your brain and liver, but it's also found in your kidneys, pancreas and heart. The presence of estrogen increases copper concentrations, so amounts are highest during pregnancy and hormone therapy. The recommended daily dietary allowance of copper for adults ranges from 900 to 1,300 micrograms, depending on pregnancy and lactation. Breastfeeding women need the most copper in order to supply enough to their rapidly growing newborns. Chelated mineral supplements are minerals combined with amino acids. A common form of chelated copper is called copper glycinate, which is a molecular complex that consists of elemental copper and the amino acid glycine. Virtually all minerals can be purchased as chelated supplements. Manufacturers of chelated mineral supplements often claim they are more bioavailable because organic molecules can pass easily through the intestinal tract, but there is currently no scientific proof that this is the case within the human digestive system. More human-based research on chelated minerals is needed before specific health claims can be made. Organic copper in food is processed by the liver and transported and stored in a safe manner, whereas copper supplements -- including chelated forms -- largely bypass the liver and enter the bloodstream directly, according to a study published in a 2009 edition of the "Journal of the American College of Nutrition." High blood levels of copper are toxic, especially to the brain. Copper toxicity has been linked to Alzheimer's disease and cirrhosis of the liver. Symptoms that are indicative of taking too much copper include nausea, vomiting, irritability, dizziness, jaundice and muscle pain. People at highest risk of copper toxicity are those with Wilson's disease -- a rare genetic disorder characterized by the rapid accumulation of copper in the brain and organs. Meeting your daily mineral requirements by eating nutritious food is often safer and more effective than taking supplements, although mineral depleted soil is a concern around the world because it yields produce and grains that have less mineral content. 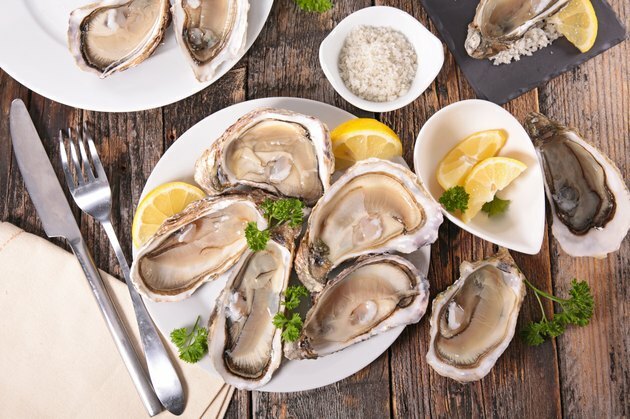 Good sources of copper include shellfish -- especially oysters -- organ meats, whole grains, legumes, dried fruit, dark leafy greens and root vegetables such as potatoes. If you choose copper supplements, avoid taking them with zinc, iron or vitamin C supplements, which interfere with the absorption of copper in the intestinal tract. What Are the Benefits of Wearing Copper Bracelets? Is It Safe to Cook in Copper Pots? What Are the Benefits of Copper Peptides?